High cholesterol (above 200 mg/dL) is a condition that increases your risk of heart attack and stroke. Cholesterol is a fatty substance that clogs your arteries and causes chronic disease. If you have high cholesterol, it is time to change your dietary habits and turn to some home remedies for cholesterol. Studies show that losing as little as 5 to 10 pounds can help reduce your cholesterol levels. You can do this by setting sustainable goals such as modifying your eating habits and exercising regularly to lose excess weight. Lack of exercise increases your risk of high cholesterol. Getting regular physical activity is one of the best home remedies for cholesterol. If you have a sedentary lifestyle, it is time for you to start to do some exercise at least 20 minutes a day, moving towards a goal of getting at least 30 to 40 minutes of exercise on most days of the week. Another great home remedy for cholesterol is oats which contain soluble fiber that helps you get rid of excess cholesterol. Soluble fibers bind cholesterol and promote its excretion. 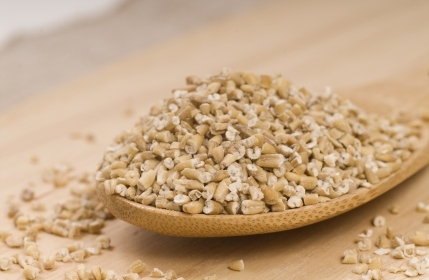 One cup of oatmeal provides 2g of soluble fiber. If you stir in some psyllium seeds, blackberries, wedges of orange or sliced banana, you will be adding more fiber to your breakfast! Not all fats are bad, so focus on eating the right type of fat. Mono- and polyunsaturated fats help improve good cholesterol levels, but saturated trans fats and trans fats raise bad cholesterol levels. The American Heart Association recommends limiting your cholesterol intake to less than 300 mg/day and consuming no more than 1% of your total calories from trans fats and 7% from saturated fat. That means limiting your intake of trans fat to 2g and saturated fat to 15g for every 2,000 calories. Nuts are not just a good source of fiber, but also provide healthy fats and antioxidants. These food components protect your heart and improve your cholesterol. Eating 2 ounces of pistachios, walnuts, almonds and other nuts daily is one of the best home remedies for cholesterol. However, you must limit your portion because nuts contain a high amount of calories. Research shows that coriander seeds help lower total cholesterol, bad cholesterol, and triglyceride levels. Coriander seeds can also help in managing diabetes. To use these, grind coriander seeds, or just add 2 teaspoons coriander seed powder to a cup of water. Boil and strain the mixture, and then drink. You can also add some sugar, milk and cardamom. Another popular home remedy for cholesterol is the red onion, which has been found to help lower bad cholesterol, increase good cholesterol and reduce the risk of heart disease. To use, take 1 teaspoon of onion juice with a little honey. You can also add finely chopped onions, ¼ teaspoon of pepper and 1 cup buttermilk. Take this regularly. Use onions, garlic and ginger in your daily diet. Orange juice is known for its rich vitamin C content. Aside from this, it also contains folate and other flavonoids, which help increase good cholesterol and improve total cholesterol levels. Studies also show that orange juice products that are fortified with phytosterols are even better home remedies for high cholesterol. Coconut oil is believed to be a good home remedy for cholesterol, even if it is considered a saturated fat. It contains lauric acid which helps increase good cholesterol levels and improves the ratio between good and bad cholesterol. The key is to use it moderately and avoid refined coconut oil. Garlic is rich in sulphur-containing antioxidants, which plays a role in regulating cholesterol levels. 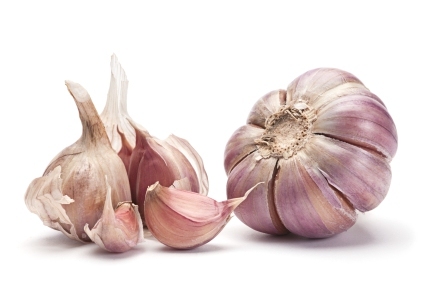 Regular intake of fresh garlic reduces LDL (bad) cholesterol levels and helps boost HDL (good) cholesterol levels. One way to use garlic is to sprinkle some chopped raw garlic in various dishes such as soups, salads or sandwiches. Brown rice comes from rice that has the outermost husk removed while retaining the inner layer of bran. It is therefore a rich source of vitamins, minerals and fiber. Its bran also contains highly unsaturated oil which plays a role in keeping your cholesterol levels low. Use brown rice instead of white rice as one of your home remedies for cholesterol. Compared to black tea, green tea does not undergo excessive processing beyond withering and steaming, so it contains more epigallocatechin gallate, a very strong antioxidant. Research shows that green tea is useful in fighting against high cholesterol. Take 3 to 4 cups of green tea daily to help lower cholesterol levels.